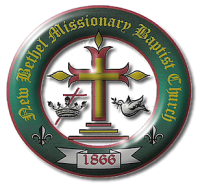 New Bethel Missionary Baptist Church is one among the oldest Black Baptist Churches in Perquimans County. To tell its history is to tell the story of people who tabernacled here. Ordinary people filled with a strong desire to do the will of God laid a spiritual foundation in the community it serves. 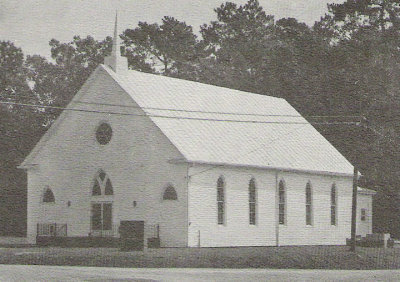 According to available records, a group of Blacks met (at the present site of this church) under a Bush Shelter in 1866 and organized a church. It is believed this group was called the African Baptist Church. On November 27, 1867, a committee of the African Baptist Church (James Dail, Daniel Sutton, Elley Ellison, Thomas Williams and Henry Simpson) purchased, from James Gatling, a parcel of land (one acre) for the sum of twelve dollars to be used for church, school and other purchases. Prior to 1866, Blacks of the community worshipped and held membership at the Bethel Baptist Church. When this church was built, the founders named it New Bethel Missionary Baptist Church. Through the years, New Bethel has licensed and ordained many sons and daughters into the ministry. Also, to strengthen our church in Christian love, many ministries have been birthed. From 1866-1986, the following deceased pastors led the New Bethel congregation through spiritual development. Pastors L. W. Boone, T. H. Berry, Rev. Fleming, Rev. Garrett, Dr. W. D. Norman, W. A. Taylor, Andrew Moore, A. B. Askew, W. F. Brinkley, A. D. Privott, and S. L. Lawrence each, in their own unique way, challenged us to Holy Living. The late Rev. S. L. Lawrence was New Bethel’s immediate past pastor until March of 1986. From March 23, 1986 through February 27, 1987, New Bethel was without a pastor. On February 28, 1987 our present pastor, Dr. William March Sawyer was elected and on March 8, 1987, he began his ministry here at New Bethel.